The Apollo Pro family of Clip-on Thermal Imaging Devices representsArmasight’s premier day/ night thermal clip-on product displaying thebest and latest in advancements developed by Armasight in the field ofuncooled thermal imaging technology for the dismounted soldier, speciallaw enforcement team member, and professional hunter. The Apollo Proepitomizes Armasight’s 20/50-design gold standard, which is defined fromproduct inception as being capable of withstanding 20 meters immersionfor 2 hours, and engineered for routine use with 0.50 BMG weapon shockand recoil. Based around common core electronics, signal processing, andinfinity focused large-format collimating eyepiece, the Apollo ProSeries Day/ Night Clip-on Thermal Imaging Device is available in avariety of options and price points that cater to every application –military and commercial. 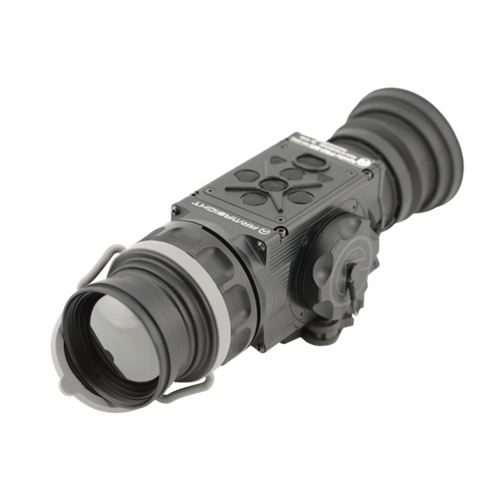 The Apollo Pro is a solid state, uncooled, long-wave infrared, 1X(unity magnification) Clip-on Thermal Imaging Device for day and nightengagements. It mounts directly in front of the variable magnificationsniper day sight without the need to remove the day sight from theweapon. 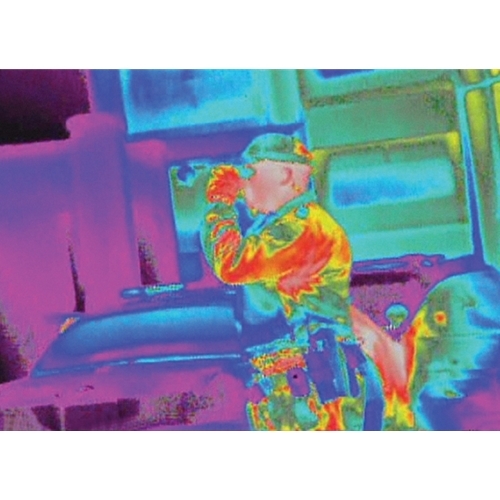 Collateral applications of the Apollo Pro Thermal Imaging Deviceinclude functionality as a unity magnification (1x) stand-alone weaponsight and handheld uncooled thermal monocular. For the collateral dutyfunctions, Armasight has included a compass and inclinometer in theApollo Pro package for finer range estimation and target orientation. Afive-button wireless remote switch is included to operate and modify thesettings on the Apollo Pro to optimize the imagery for the viewed scenewithout having to remove your hands from the weapon. The Apollo Pro hasBluetooth© wireless capability and can directly interface with mostsmart phones with the potential for engaging a series of current andfuture applications. 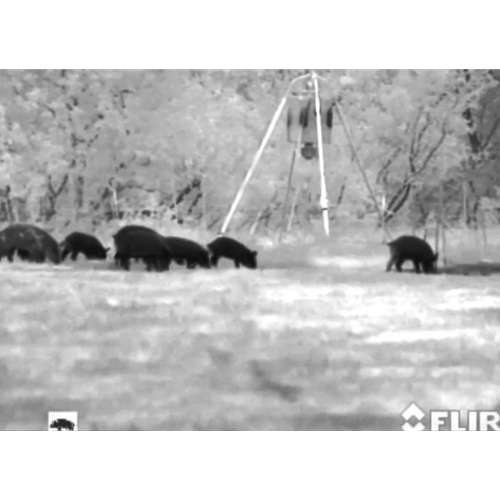 Utilizing the latest FLIR TAU-2 Technology, the Apollo Pro is offeredin 336x256 and 640x512 pixel formats. These options are further enhancedby professional military-grade 30mm, 50mm, 100mm Germanium (Ge)objective lenses, creating a wide variety of range performance optionsoptimize the user’s experience with this magnified day sight. Armasight has introduced a unique dual battery option for the ApolloPro Clip-on Thermal Imaging Device, consisting either of four 3.0VDC123A batteries (all oriented in the same direction to prevent confusionin replacement), or four 1.5VDC AA batteries pre-loaded in a cartridge.In a pinch, the Apollo Pro special power-management feature allows theuse of a single 3.0VDC 123A battery for just over an hour. The Apollo Pro uses the same 9-pin multi-pin connector to providevideo-in imagery, where there may be a need for map or rangefinderdisplay overlays, and external power access. 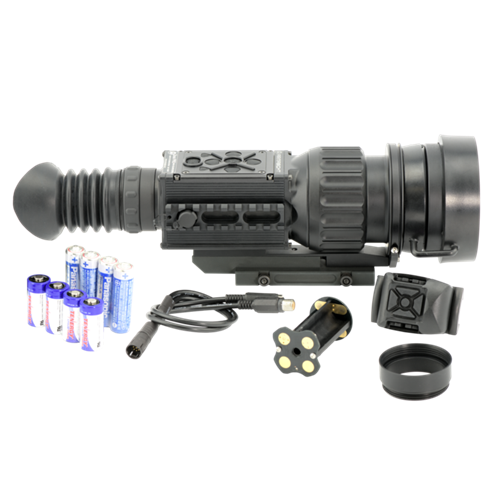 In support of thesecapabilities, Armasight offers an optional laser range-finder, externalbattery pack, multispectral laser and other accessories designed toattach on the MIL-STD-1913 rail of the Apollo Pro to feed the desiredoverlay or input power into the Clip-on Thermal Imaging Device. The9-pin connector is also capable of providing a portal for periodicallyupgrading the Apollo Pro software directly; as new revisions becomeavailable, users can download updates directly from the internet. Apollo Pro weapon installation is easy, repeatable, and reliable basedon a user-friendly MILSTD- 1913/ Weaver/Picatinny rail compatible,quick-release locking mechanism. This device is normally used in the“Reticule Off/ No Reticule” mode. However, when used in the collateralrole of a 1X stand-alone Multipurpose Viewer, the solid state technologyreticule adjustments and software algorithms -- combined with acomplementary color reticle platform -- ensure maximum reticle contrast,high-level target accuracy, and boresight retention that cannot beachieved with mechanical boresight adjusters and traditional ballisticdrums. This level of accuracy is translated into the tracking electroniczoom (e-zoom) function of the Apollo Pro, when used as a 1x weaponsight, which can be progressively increased from 1x to 2x to 4x and 8x(640x512 format only) without changing the point-of-aim to pointof-impact relationship of the targeting reticle. 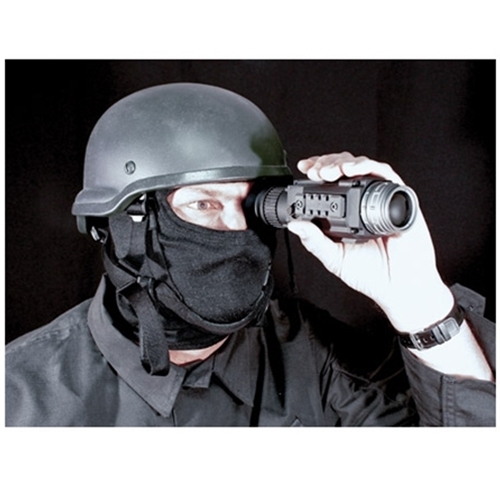 Based on its superior price-to-performance value, the Apollo ProClip-on Thermal Imaging Device represents the most versatile andsophisticated Armasight product available in today’s market for hunters,SWAT teams, and military personnel who want to use their own sniper dayMultipurpose Viewers. Information Based Histogram Equalization (IBHEQ) – a “Sky/Sea” enhancement – information based environment dependent algorithm that automatically adjusts camera gain and excludes pixels determined to not contain critical information, specifically helpful in scenes with lots of sky or water. User Controlled Manual Non Uniformity Correction/Flat-Field Correction (UCMNUC/FFC). There is a mechanical shutter between the camera sensor and the lens. This shutter is used to perform a non-uniformity correction (NUC) also known as flat-field correction (FFC. During FFC, the shutter presents a uniform temperature source to each detector element in the array. While imaging the flat-field source, the camera updates the offset correction coefficients, resulting in a more uniform image after the process is complete. All Armasight thermal imagers allow for user to manually trigger or interrupt scheduled UCMNUC/FFC function. Silent Shutterless NUC ™ (SSN) – In addition to user controlled manual NUC/FFC all Zeus models employ a digital supplemental non-mechanical flat-field correction that allows to extend the periods between mechanical shutter events and to further reduce image noise. SSN is always ON enhancement.